Welcome to my links section. Here you can find some links to other Linux sites, to some science fiction and fantasy pages and some other sites which I found interesting. I hope that you will find something of interest here. Description: Debian GNU/Linux uses the Linux kernel, and includes hundreds of software packages, including most GNU software, TeX, and X Window System (XFree86 version). Each package is an independent and modular unit, in that it is not associated with any particular release of the complete system or distribution scheme. Anyone can create their own packages and even upload them to be made available with the distribution or as a part of the distribution. Debian is a non-commercial voluntary effort that continues the principals that made Linux so famous and efficient (Basar methode). http://www.linux.hr: HULK - Croatian Linux Users Group. 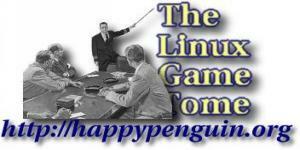 Slashdot - If you interesting what's this moment new in Linux world, then this is right page for you. Largest index of UNIX and cross-platform software, the first stop for Linux users hunting for the software they need for work or play. Here are links to some interesting pages related with Science Fiction and Fantasy. Sfera - Croatian association for science fiction. Here are some information and links to other interesting pages. User Friendly excellent comic, daily new pictures. Everything you must know about ex-Yugoslavia. In this book read the truth about Croatia and the historical development of the former states of Yugoslavia beginning from the Middle Age until today.